A common question we hear is how our vitamins help with breast growth. Aside from the fact that we are an all-natural breast enhancement supplement, there are important steps that should be followed in addition to taking any breast enlargement pills. When discussing breast growth starting these habits earlier is best. Having a healthy diet to follow is necessary for ideal breast development, as well as adding in daily vitamins for breast health to also boost your breast growth results. You should understand that there is no vitamin alone that will increase your cup size, vitamins are something that should be contributed to an already set regiment. 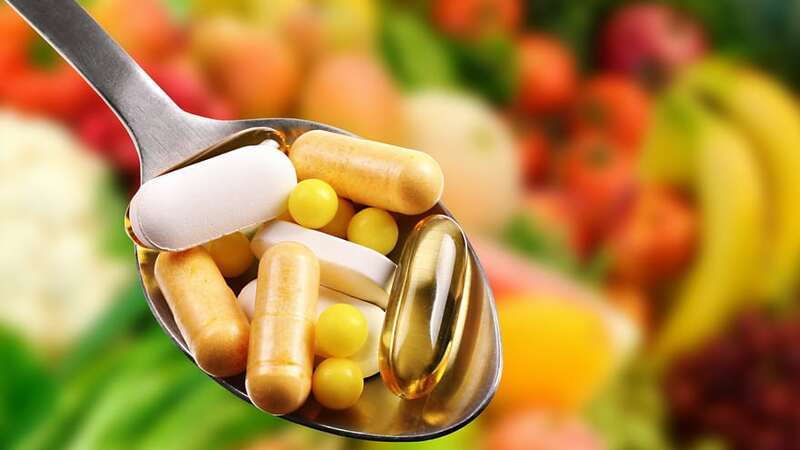 The best part about taking vitamins and supplements to increase breast size rather than going under the knife is not only the safety but the savings, natural breast enlargement is the best way to avoid painful surgeries. Compared to your average breast augmentation procedure you are saving a huge chunk of money at the same time of taking a safe, healthy route by choosing breast enhancement pills. There are several vitamins that can be taken, depending on your preference they all work equally the same. There are plenty of natural ways to increase breast size that we are going to elaborate on below. Most common and recommended multivitamin supplements for breast growth are such that include A, C, E, and B6. These are all known vitamins/pills that make your breast grow and help to increase breast size naturally and produce healthy skin. These are all a great way to increase breast size naturally. There are plenty of herbs for breast growth although only a few are proven. There are many breast growth pills on the market, but be sure that your choice of breast enlargement pills includes at least one of these natural ingredients below. Although there is no “best breast size” if you are not happy with your size and want to increase your breasts naturally, then I highly suggest adding in vitamins A, C, E, and B6 to your diet. Vitamin A is essential for skin nourishment, it plays a huge role in enhancing the health of your body to keep your breasts from sagging. Vitamin A is also known as beta-carotenes is most effective when combined with Vitamin C and E.
Vitamin C is the most important supplement for producing collagen, which leads to new healthy skin. This is what helps keep your skin firm and toned to contribute to perky breasts. This should be in your everyday routine with or without wanting to enlarge your breasts for your overall health. Vitamin C fights against many diseases and is even believed to contribute to fighting against cancer. Vitamin C is rarely included in breast enlargement pills, so pay attention to the ingredients before purchasing. A side note to Vitamin C is the wonderful benefit it has to help prevent chest wrinkles and cleavage wrinkles. Vitamin E is more beneficial to your entire health, although it does promote healthy skin as well. Vitamin E helps to relieve symptoms of PMS along with regulating the balance between estrogen and progesterone. Multivitamin B6 provides good cardiovascular health which leads to stimulation in your breasts for excellent breast growth. The best part about all of these vitamins is they are available in their natural source in most of the foods you already eat. Foods that contain Vitamin A – Carrots, Spinach, Milk, Fish, Sweet Potato, Apricots (dried), and Mangoes. Foods that contain Vitamin C – Citrus fruits and Vegetables. Foods that contain Vitamin E – Dark Leafy Greens and Nuts. Foods that contain Vitamin B6 – Peanuts, Chicken, Liver, Sunflower, and Fish. If you are inadequate with any of these vitamins, you may actually notice a decrease in your breast size. Vitamin A, C, E, and B6 may not be the trick if taken alone but in combination, they will lead to natural breast enhancement. Vitamin A assists in skin-cell rejuvenation. Vitamin C rehabilitates collagen. Vitamin E prohibits fats from staying in unwanted parts of your body. Vitamin B6 is necessary for encouraging the hormone of estrogen which contributes to the circulation of blood. Bust Bunny includes collagen fighting ingredients that increase healthy elasticity in your breast tissue and is one of the best breast enlargement pills on the market. Use coupon code “naturalherbs” for 10% off or CLICK HERE to have your coupon instantly applied. Zinc – Promotes new growth of breast tissue. As we mentioned, solely taking these vitamins without any additional effort will not work in increasing your breasts. There are steps that should be followed in sync with taking supplements. You want to increase the circulation of your breasts and continue regulating your hormone levels. You want to incorporate some or all of these steps to give your breast enlargement journey a boost. If you want to know how to enhance breast size naturally, stick to these habits below and you will soon notice a difference in shape, size, and firmness. Herbal supplements are a great way to promote breast enhancement in addition to the suggestions we’ve listed above. Herbal breast enhancements are one of the best and proven ways to increase breast size naturally. 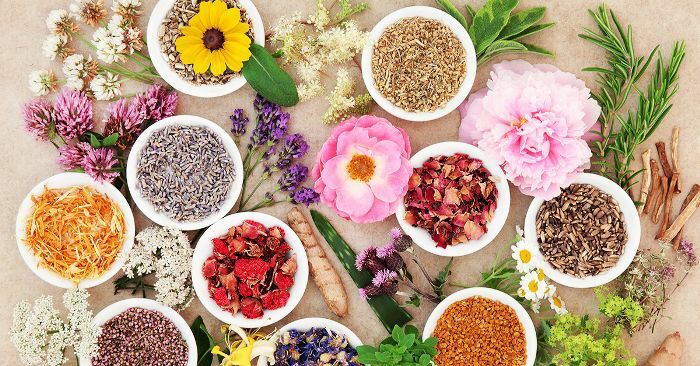 As you may have read in previous blogs of ours, we talk a lot about herbal supplements. Some familiar names you might know are Wild yam, Dong Quai and Saw Palmetto. Among the list of vitamins that help breast growth, these herbs are essential. Wild Yam contributes to stimulating hormone production which is what then leads to your breasts growing. It also helps to make your breasts larger by using the progesterone inside which helps balance your hormones. Dong Quai is beneficial for your bodies circulation process, circulation is key to leading to healthy skin production. This also helps to even out your hormones which then causes breast enlargement. Last, but far from least is Saw Palmetto which is the mother of increasing the size of your mammary glands. Taking any of these ingredients in a combination of breast enlargement pills along with multivitamins is what will lead to optimal breast growth. These plant-based herbs are naturally known as herbal breast enhancements which are able to increase your breast size about 1-2 cup sizes over 3-6 months depending on the way your body reacts. They help to increase the estrogen levels inside of your body which leads to breast enlargement. If you take these herbal supplements in high enough doses they can contribute to making your breasts larger by facilitating the growth of your breast tissue. 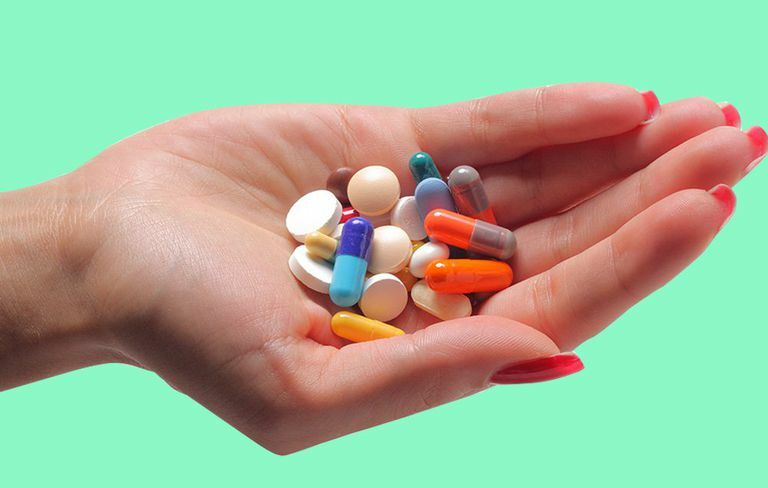 Do your research on pills for bigger breasts before choosing a product for yourself. Is There A Supplement That Stimulates Breast Growth Naturally? Bust Bunny breast enlargement pills include several of the herbs we’ve listed along with Vitamin C. Adding an all natural breast enhancement supplement in addition to specific vitamins that stimulate breast growth will give you the most beneficial results. Our product is there to speed up the process of trying to grow your breasts. Everything inside Bust Bunny is natural and safe to take in a combination of other multivitamins and is one of the best pills that make your breast grow. Incorporating a healthy lifestyle and changing up your unhealthy diet is the best way to get the full outcome of our breast enhancement supplement. 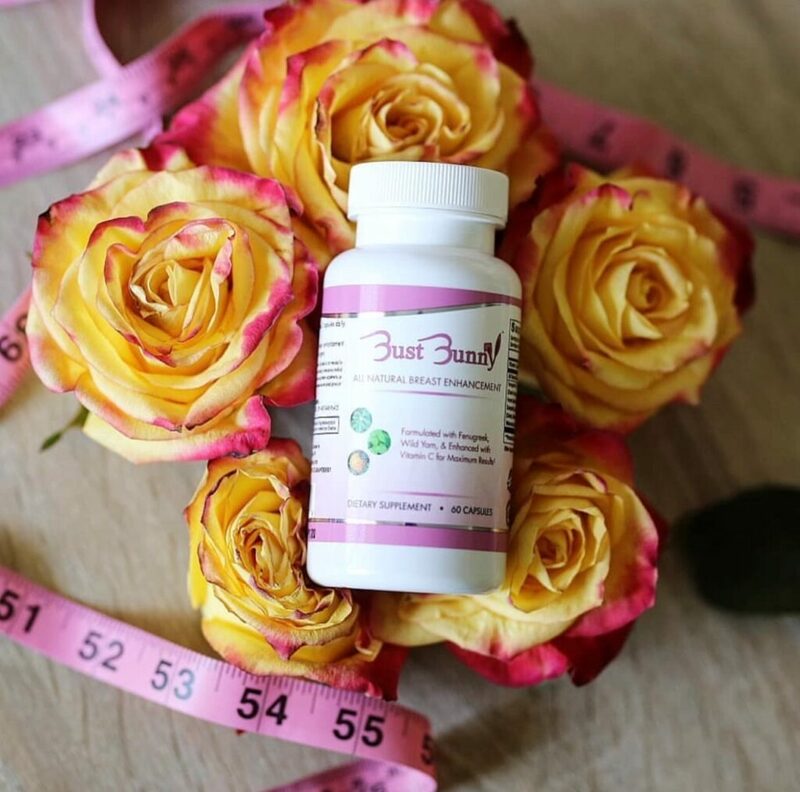 Although there is a variety of supplements for breast growth out on the market, Bust Bunny is one of few that has pure natural ingredients inside. 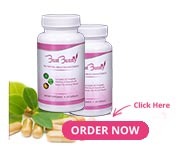 If you have been interested in starting to add more supplements and herbs into your daily diet and increase the size of your breasts at the same time, you should consider Bust Bunny breast enlargement pills which is a great pill for breast growth. We want to help you on your breast enhancement journey, get started today using coupon code “naturalherbs” for 10% off or CLICK HERE to have your coupon instantly applied. You can use this as a dietary supplement and use in combination of other vitamins. Always consult with your doctor before using a combination of supplements.